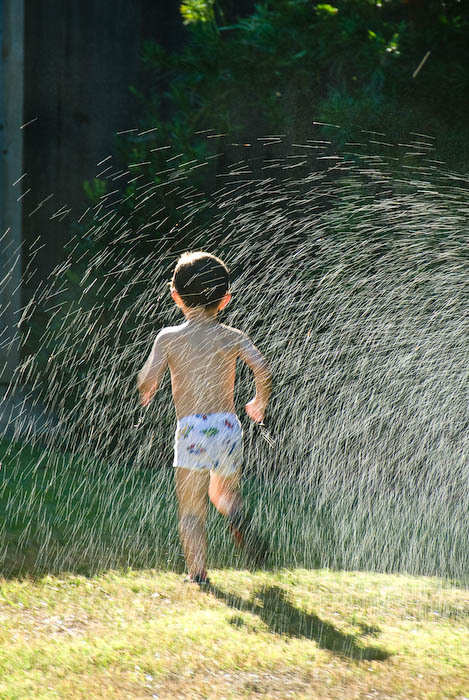 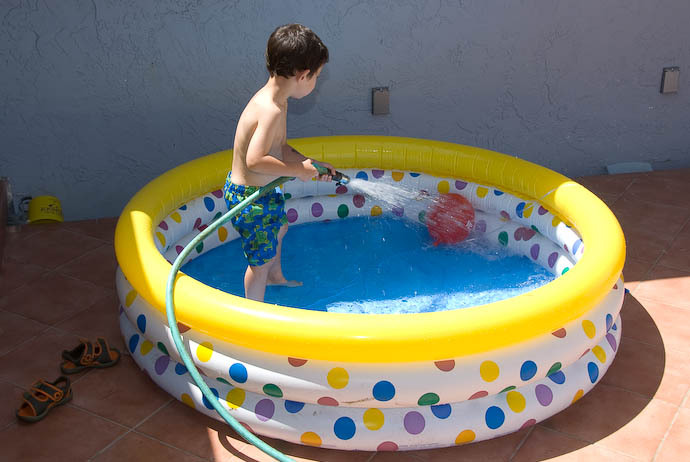 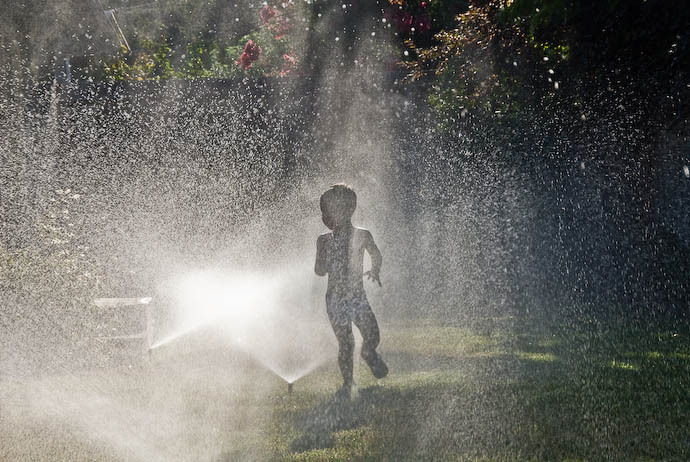 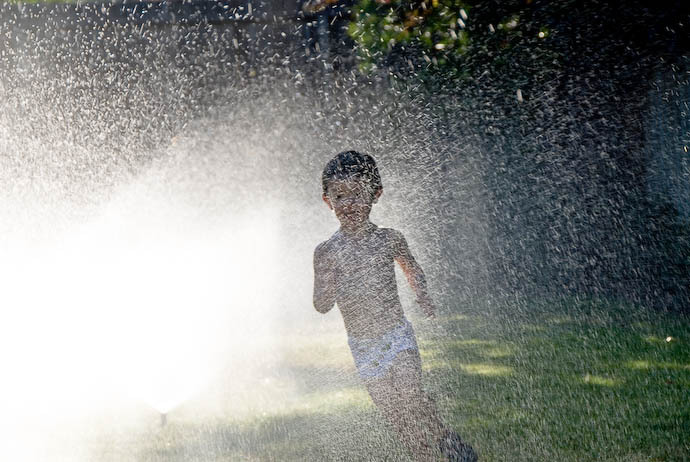 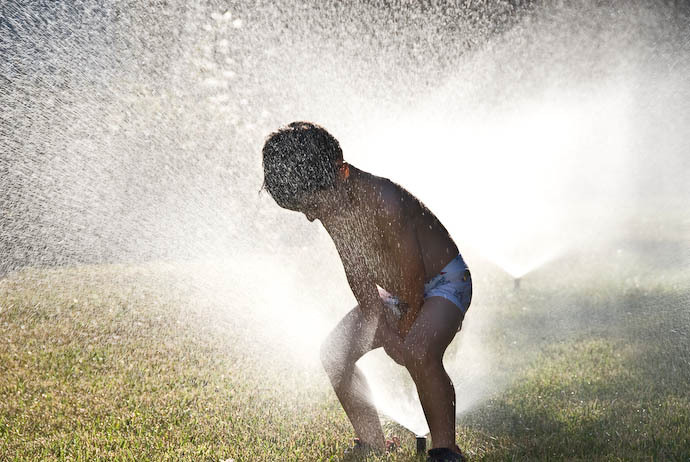 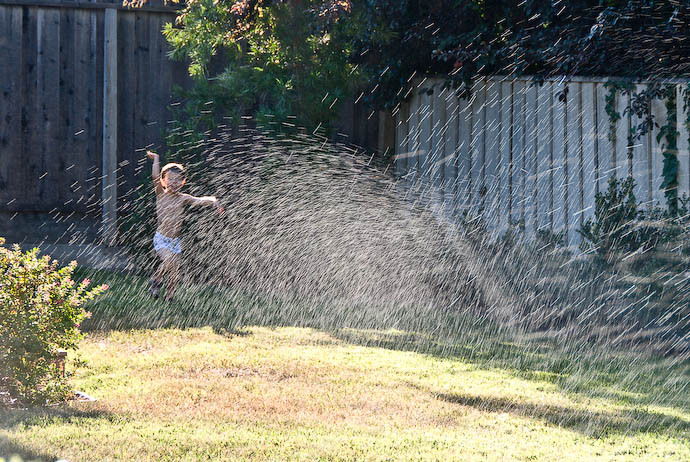 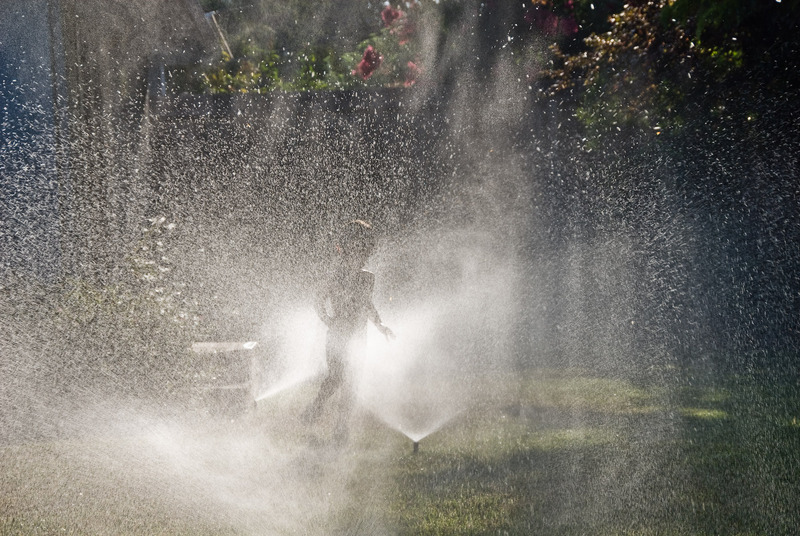 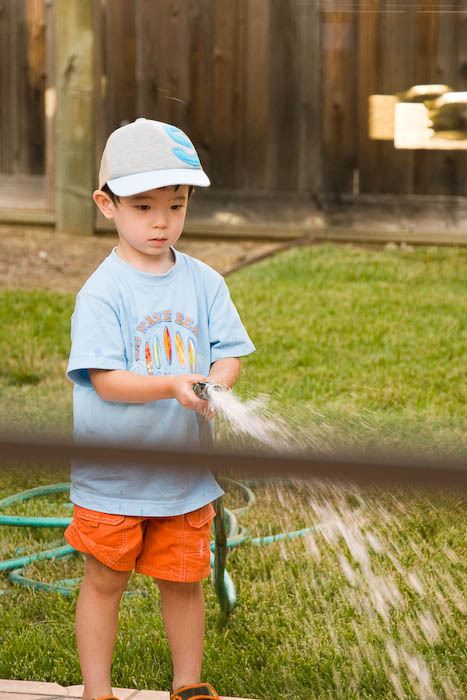 Yesterday's post – Water Play at Gen's House – reminded me of two years ago while we were in Cupertino for the summer (before selling our house). I felt the white “background” (the parts that were so overexposed that no detail could be recovered) was a bit harsh, so I added the vignette as well. July 23rd, 2006 hot Hot HOT! 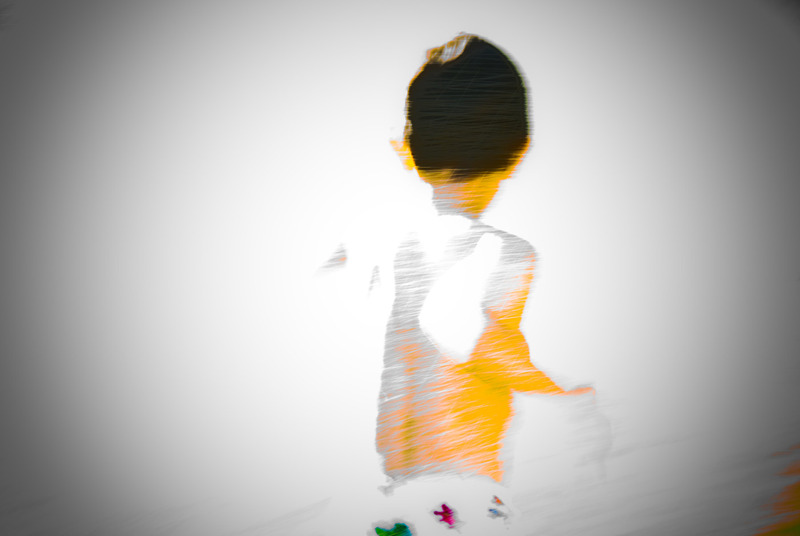 Great series of shots! 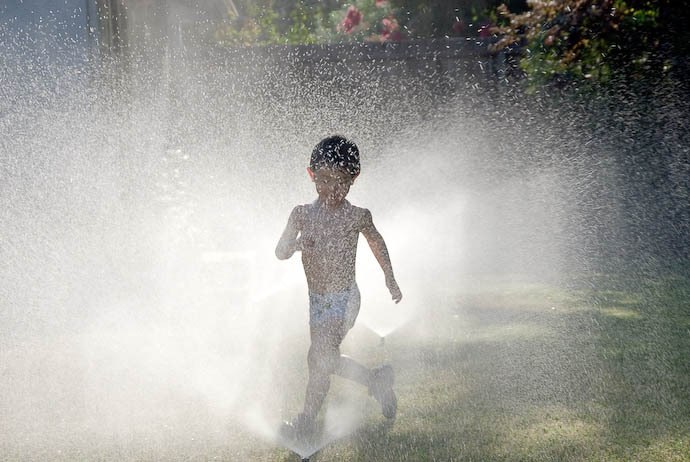 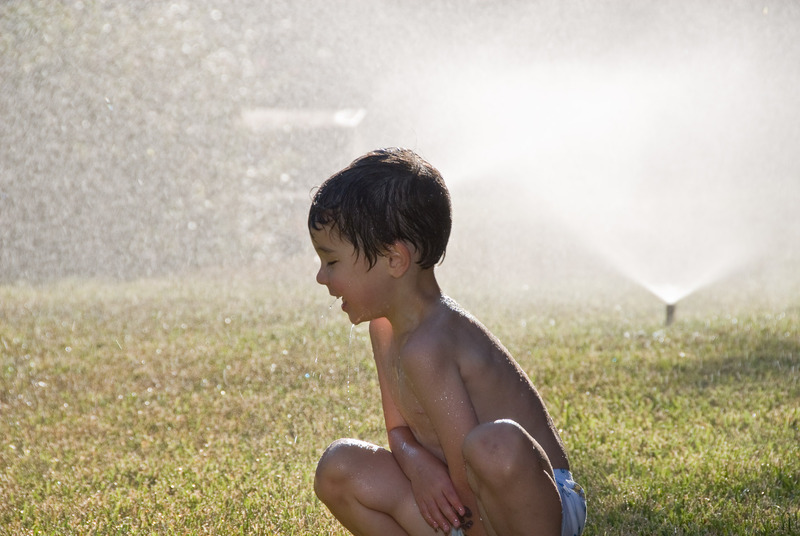 Maybe he and his little cousin can relive this and have some fun running through Grandma’s sprinklers in Ohio in a few weeks.